It’s true, paw pads are sturdy enough for long hours hitting rough surfaces. The crux of pet paw care is preventing injuries so they can keep up an active lifestyle. Our California climate is mild enough, but that doesn’t mean pets aren’t exposed to burns or frostbite. During the colder weather your pet may also come into contact with various chemicals, such as salt, or other snow/ice products. Always wash and dry your pet’s paws when they come inside. Even if these chemicals aren’t on the ground, this is a good habit to keep their feet as clean as possible. Be sure to keep them away from slippery surfaces as they can quickly become injured if they fall. If you do see ice, steer your pet away from it as their paw pads can get cut. If it’s ever too cold outside for you, it’s definitely too cold for your pet. Left outside for too long, frostbite can occur on the nose, ears, and paws. You can keep them warm by dressing them in appropriate seasonal gear. Booties, for example, offer great protection from frozen ground and traction on wet, slippery ground. Foot wax (when used as directed) can be a part of pet paw care, too, if your pet doesn’t like wearing booties. Before we know it, the summer sun will be bearing down on us. Keep in mind that asphalt, concrete, gravel, sand, and even dirt can absorb heat. Pet paw care in the spring and summer is similar to winter: if it’s too hot for you to walk barefoot outside, it’s much too hot for those delicate paws. Avoid long walks in the middle of the day when the ground is much hotter. Opt for early morning or evening walks, and take frequent water and rest breaks in the shade. 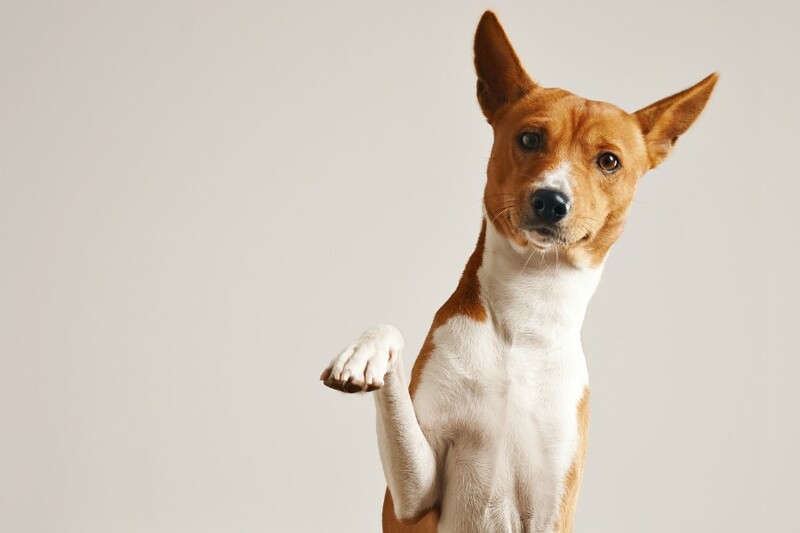 If you ever notice that your pet is limping, licking at their paws, protecting their paws from your touch, or bleeding, it’s time to address what’s going on. They could have a cut or burn, but it’s common for pet owners to see burrs, thorns, foxtails, and other sharp objects stuck in the paw pads. Establishing touch is essential in a pet’s early life. If an animal goes for a long time without human contact on their feet, it can take some doing to get them to relax and accept the attention there. This is why introducing nail trimming early on is so important. As they grow into adults, animals experience less stress when they are groomed. Given the daily or weekly opportunity to check on their paws, you can intervene much quicker if things aren’t right. If you have further questions about pet paw care, we encourage you to reach out to us. Our veterinarians and staff members at Rocklin Ranch Veterinary Hospital are always here to help your pet!